What About Dried Greens and Canary Nutrition? Not an idea but a question. You say that for good canary nutrition to give the canary greens etc. What about the dry greens instead? 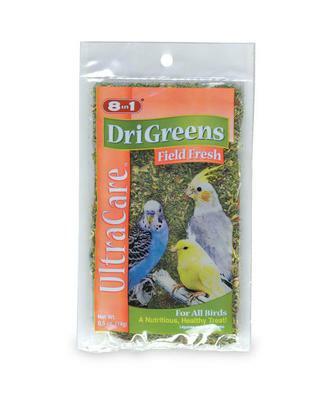 Birds Unlimited offers these dry greens mixed with good seeds. Dry greens are better than no greens. If your time is limited (I can relate) and it's easier to use the packaged dry greens and seed mix by all means add it to your canary nutrition plan. Like I said, it's better than nothing. However, keep in mind that dry greens are not as palatable as fresh greens and some canaries refuse to eat it. You won't know till you try it how your canary will react. Also, depending on how the greens are dried, and how long they have been on the shelf before you get them, they may have lost some of their nutrition value as well as flavor. And finally, you will probably end up paying more for a canary nutrition product that has to be processed, packaged, marketed, and shipped than you would for a small piece of romaine lettuce or broccoli that you probably already have in your fridge. Hey, those pennies can add up! 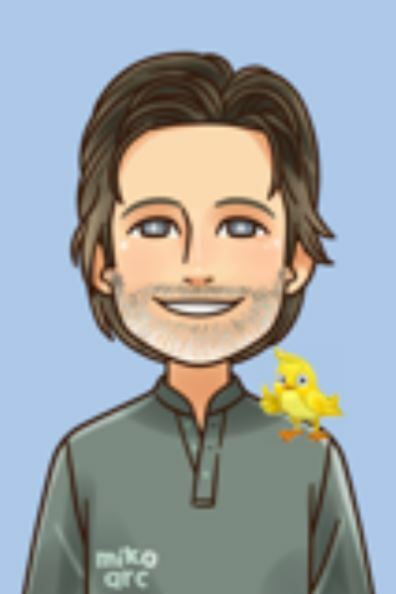 With all this in mind, I think it's best, for you and your bird's canary bird care, to simple use a good seed mix like DR. Harvey's and add some fresh greens, fruit, and boiled egg each day. Yes, it takes a little more time but aren't our little sugar birds worth it? :>) OR, even better yet, use both! Feed fresh greens when you can and use dried greens for your bird at other times. ONE CAVEAT: Beware of packaged dried greens that have been treated with sulfur as this may be harmful to your birds. Also see http://www.PreventCanaryDeath.com for more canary nutrition info. Comments for What About Dried Greens and Canary Nutrition? Healthy eating plan is just about the biggest areas of furry friend bird title and it's one which an individual, as being a furry friend bird operator, have the many control in excess of. By providing your pet bird using a healthy, healthful diet regime, along with by means of exercising good sterilization along with hygiene. assignment writing help service - There are other matters that can be mixed into nestling food such as grated carrot, rolled oats, and Cream of Wheat. You can still purchase some pre-mixed nestling food. But the seed, egg, and greens are a "must-get along". The greens are largely for the Momma canary... she will call for the extra nutrition during this trying time. Well educated and literate teachers are very well aware of different technologies used in dissertation writing services. They better know that what technology is being used for what purpose. As they have much knowledge about these things.